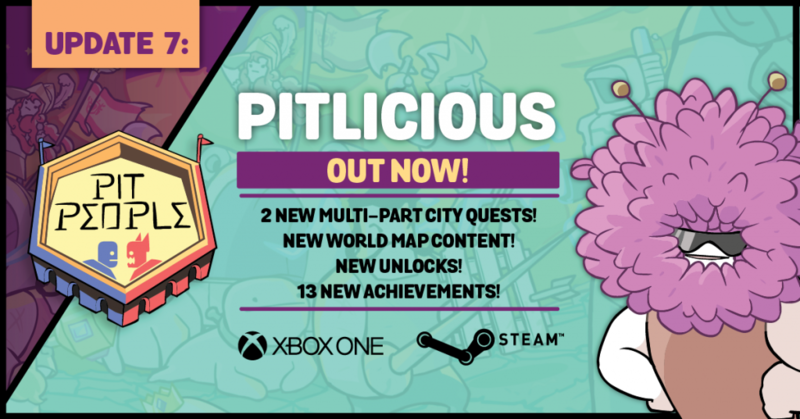 The Behemoth Blog Pit People Update 7: Pitlicious has arrived! 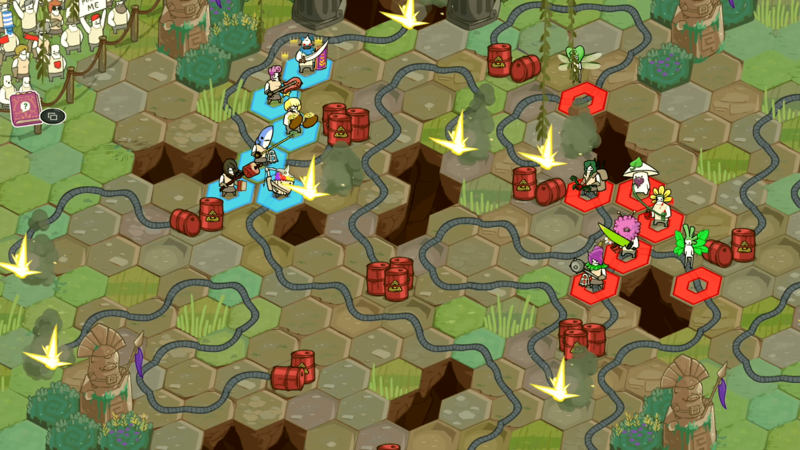 Pit People Update 7 is now available on Xbox One! Repeat: the Pitlicious is hiding inside your Xbox. Please update and prepare for new adventures. “Wouldn’t it be cool if those bear blood storms could happen any time? Whether you can stand toe to toe with General Custard or are as innocent as a wee babe, Pitlicious has something strange and wonderful for you! Mission progression is now determined by the first host player rather than the most advanced player. The fortress completion achievement is now triggered by completing city and story quest fortresses. Added occasional bear blood storms in random battles. Fixed issues with spidaur webs when spidaurs teleport. Fixed a bug that caused a tutorial exploration region to not count toward player’s total. Added separate key bindings for moving the wagon up, down, left, and right. Fixed a bug that prevented some missions from appearing on some world maps. Fixed a bug that could cause spectator fighters from appearing in the arena lobby during an online session. Changed the Questboard to show the 100% indicator only if all local players have completed the quest. Fixed a bug where the winner of a replay would not be shown in some cases. Players can hold the dismiss key to skip through dialog quickly. Fixed a bug showing pixie wings in portraits. 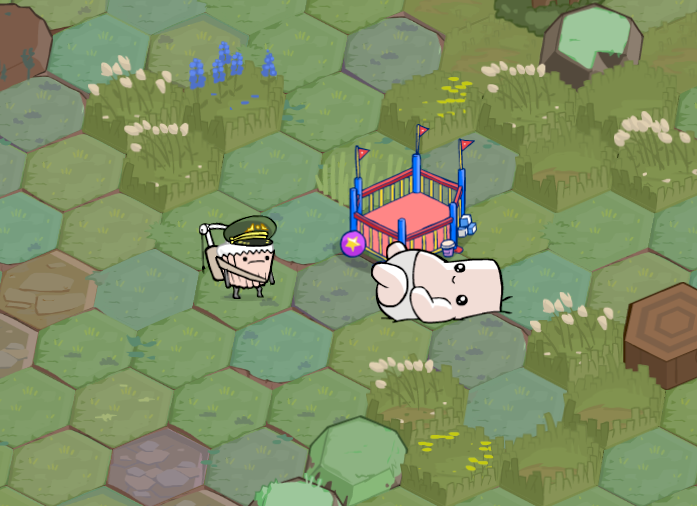 Fixed bug which would auto-fail permadeath players in March for Babies. Fixed bug that prevented enemies from chasing wagon through previously populated hexes. Female archer and man type npcs on the worldmap now use the female voice when killed. The 5th city record song now loops correctly. Fixed bug in quest “Against the Grain” to cause it to fail early in some cases. Fixed tents in multiple fortresses that did not look inactive after running out of enemies to spawn. Fixed bug causing player to see both win and lose events if they killed all of the red team players. Fixed bug preventing players from recruiting an enemy in quest “A Knight’s Code”. Extra loot is no longer lost to lava eruptions on some worldmaps during quest “Fighting Fire with Fire”. Yosef is no longer occasionally given a random color tint in quest “Mt. Olympus”. Worldmap enemy that chases you in quest “Home, Run!” now behaves like other chase enemies. Fixed bug that was causing chaser enemy sfx to play when spawned instead of when triggered by the wagon. Mother Deer no longer sounds like a human man when saying “…?” in quest “Needs Salt”. Fixed a bug in quest, “Mush Love” causing Portabella to occasionally disappear. Erroneous fail dialog no longer plays when fleeing quest “Tale of Yoratio”. Added missing danger icon to Fort Ginger. All mentions of “Mr. Whispers” use that spelling now. Sorry, “Mister Whispers” fans. Snottery Barn revamped to include new narrative beats, unique characters and Spidaur Skin rewards. Layout of battlefield in quest “Against the Grain” rebalanced and made accessible for Troll Moms. Rebalanced quest “He Who Smelt It” to allow enemy team to spread out do their job better. Added some flavor and visual clarity to quest “Fort Ruffage”. Rebalanced quest “Ruckus Ranch” and added some visual flare for clarity. Added battlefields for some unique regions across all worldmaps. Kindness the Rainbow Horse now hums to himself during quest, “Killing with Kindness”. Small camera and narrative sequence tweaks across many quests. Collect your Cupcakes, gather your Gorgons and haul out your favorite Hair Trolls: new adventures await!